Increase your profits by having ATM wraps with a highly visible design or calling attention with video topper advertising. ATM branding and advertising increase traffic and boost consumer confidence in ATM security. CORD Financial Services will help you to design a highly attractive ATM wraps and increase your revenue with our video topper advertising program. 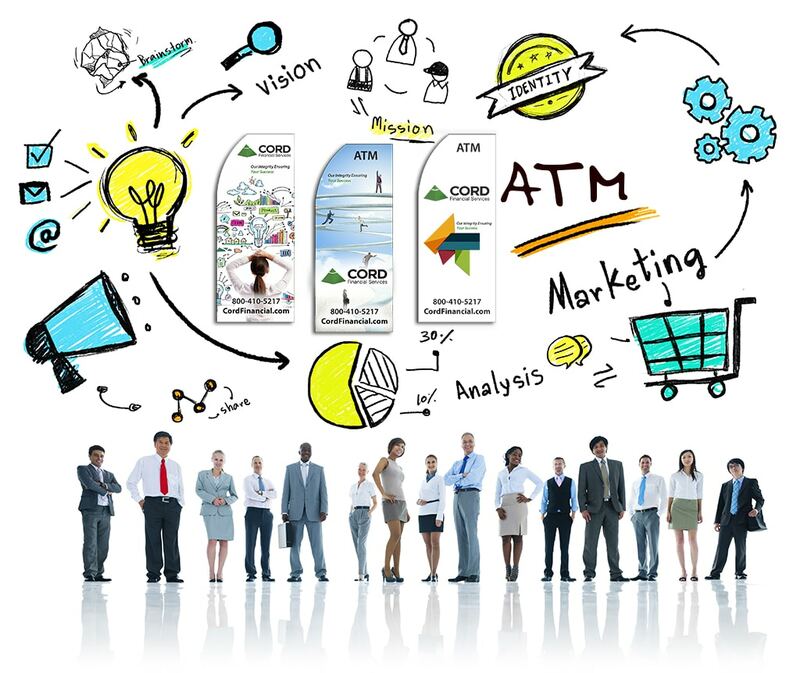 For banks and credit unions, ATM co-branding is a cost-effective way to reach consumers and credibly expand branch reach beyond local markets without a large capital investment. Leverage CORD’s ATM network to expand your market presence and offer convenience to your customers. Read how ATM Branding helped Happy State Bank.